1. 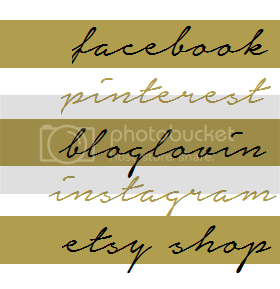 Information about you, your blog, and your favorite thing about Christmas! 2. Pictures of your project. The easiest way to do this would be to construct it as though you are posting on your own blog (if you haven't already). Then copy and paste the html into a text file and email. Allison from Crafted Love does an awesome tutorial of how to do this. It can be found here. Send the email to embracingmessy@gmail.com and I will get back to you as soon as possible. I will be adding about 5 projects of my own so the first 20 or so to email me will have the best shot. If you plan to participate or want to share with others, grab a button! Thanks so much and I can't wait to work with all of you! 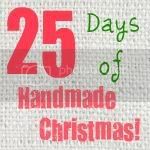 I love the idea of 25 handmade days of Christmas. Got to see what I can add! I'd love to be a part of this but the button doesn't show up as 25 days- it shows up as embracing messy. Am I copying it wrong?